A 6 years old marriage of one Mr. Sunday Olu-Obafemi was dissolved on Tuesday by a Badagry Customary Court in Lagos over interference of his mother in-law in the marriage. The court ruled that there was no longer love in the union between Olu-Obafemi, 53, and Juliana, 31, his wife of six years because of Juliana’s mother’s persistent interference. Olu-Obafemi had filed for divorce, citing unnecessary interference and threat to his life. The President of the court, Mr Shakirudeen Adekola, dissolved the union and awarded the custody of the only child of the union to the respondent. In his ruling, Adekola described submissions by the two parties in the matter as rather pathetic. “The petitioner testified that the respondent is suitable by all standards but for the influence of her mother. “The respondent on the other hand affirmed that the petitioner is an ideal husband any woman should pray to have, despite his short coming in hot temperament. “Sunday earnestly prayed this court to dissolve the union as the safety of his life can no longer be guaranteed under the prevailing circumstances. 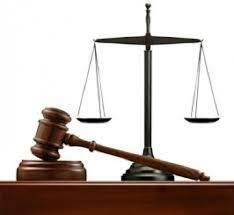 “The court has no option than to free the petitioner and grant his plea as demanded,’’ Adekola ruled. “The custody of the child should be reverted to the petitioner, when the child would have completed her junior secondary school or when the respondent remarries whichever is earlier. “Sunday shall pay to the respondent a sum of N150, 000 for accommodation and a sum of N100, 000 as separation allowance. “The petitioner shall also pay N5, 000 monthly feeding allowance for the child to the respondent. “These payments as outlined above should be remitted through this court. “Both parties are allowed to appeal against this judgment within 30 days from Feb.12. “Finally, violation of any of these orders shall be deemed contempt of court and shall be dealt with accordingly,’’ Adekola said.